If a restaurant served you pasta with bugs in it, you’d probably send it back– and maybe leave the place entirely. But a new noodle brand is banking on consumers eating pasta with crickets purposefully included on the ingredient list, albeit in flour form. However, the pasta’s two main selling points are its nutritional advantages and its sustainability. 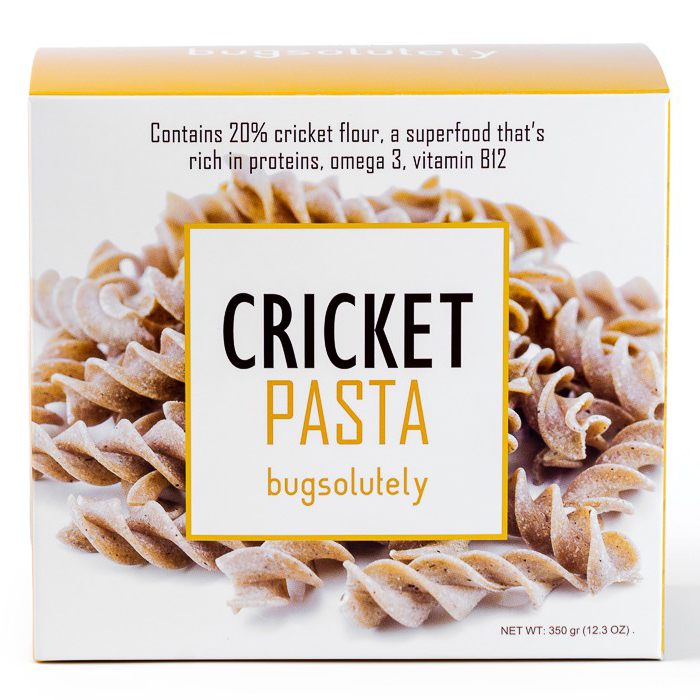 Cricket pasta comes packed with high levels of protein, calcium, iron, B12 and omega-3, and raising crickets requires 1,000 times less food and water than cows—an odd comparison, since cows have nothing to do with pasta, but let’s just go with it. The big question, of course, is will people eat it? “Westerners might regularly eat frightening and unhealthy dishes, but they have still developed a cultural, subconscious disgust for ants or crickets,” Reverberi told Food Navigator Asia. “Our cricket pasta breaks this mould, by processing the crickets into a fine flour. With the shape of the cricket gone, the perception of the product completely changes.” After being insulted like that, who wouldn’t want to try cricket pasta?! Bugsolutely is currently available in fusilli form on the brand’s website for the very healthy price of $5.90 per 350-gram box, not including an additional $12 charge for shipping from their Thailand headquarters. And you thought eating crickets was something people on a budget resorted to.